MPN: 40273. The proprietary NANO substrate chemistry yields highly efficient loadings for lower cost and better converter efficiency. FIND THE RIGHT PART FOR YOUR CAR. Overdrive has been in the automotive parts industry for over 15 years. 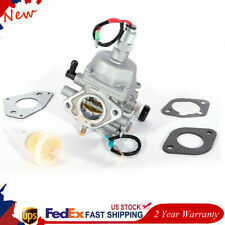 FITS CHEVY, FORD & MOPAR WHEN USING A HOLLEY 4150 OR 4160 SERIES CARBS. 265 283 305 307 327 350 383 400 396 402 427 454 472 502 260 289 302 351W 347 352 360 390 406 427 428 429 460 351C 351M 400M 273 318 340 360 361 383 400 413 426W 440 455 330 326 ENGINES WHEN USING A 4150 / 4160 SERIES. 32 853 12-S & 32 853 08-S. 1 x Carburetor. Fits Kohler Engine Model #s Replaces Kohler Engine Part SV740-0015, SV740-0016, SV740-0017, SV830-0001. SV740-0011, SV740-0012, SV740-0013, SV740-0014. Blade Style: HYBRID. Overdrive has been in the automotive parts industry for over 15 years. FIND THE RIGHT PART FOR YOUR CAR. QUICK LINKS. MIRROR ASSEMBLIES. MIRROR GLASS. OTHER PRODUCTS. Spring steel beam structure optimizes pressure across wipe area. Blade Style: WINTER. Overdrive has been in the automotive parts industry for over 15 years. FIND THE RIGHT PART FOR YOUR CAR. QUICK LINKS. MIRROR ASSEMBLIES. MIRROR GLASS. OTHER PRODUCTS.